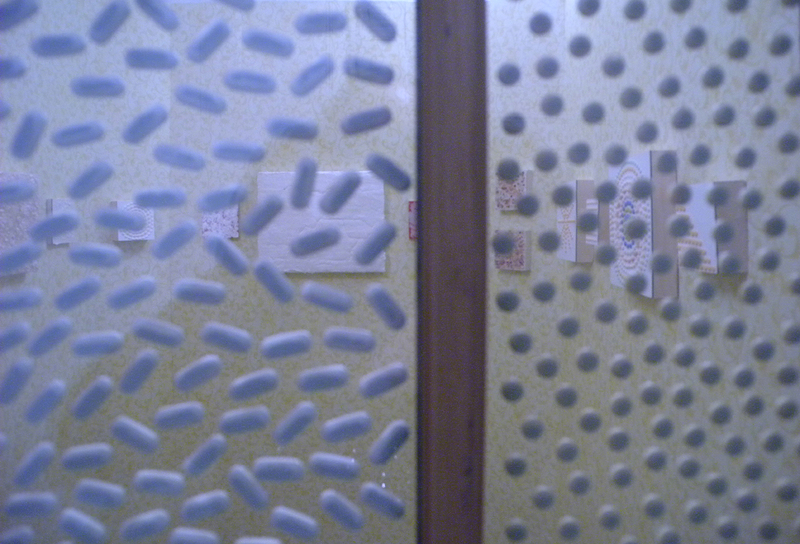 An installation using Sound, Wallpaper and Mixed Media objects that directly engages the taboo subject of Mental Illness. To mimic the experience of auditory hallucinations, the audio hardware is hidden behind the walls so that the voices appear externalized and sound as though they are coming from the other side of the room or down the hall. I use wallpaper as a metaphor for being medicated. 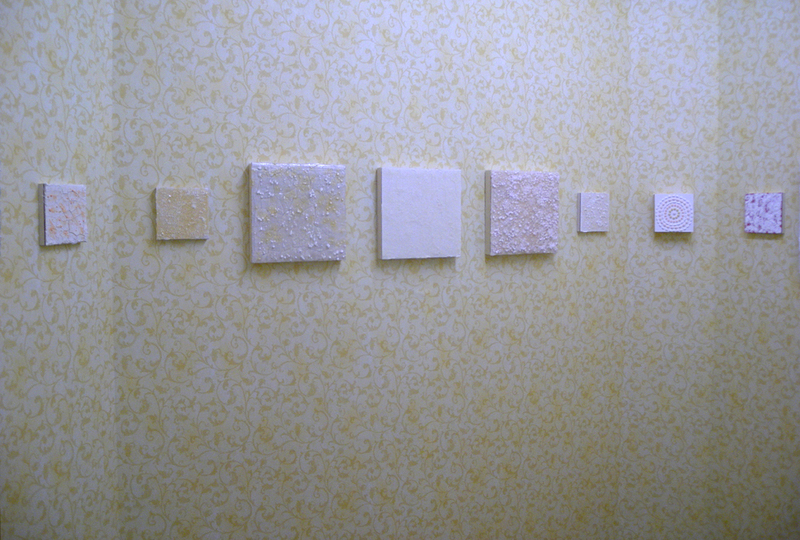 The wall space of the installation is covered with yellow colored wallpaper-- the reference to the short story written by Charlotte Perkins Gillman titled, "The Yellow Wallpaper" links past and present attitudes toward women's mental health. 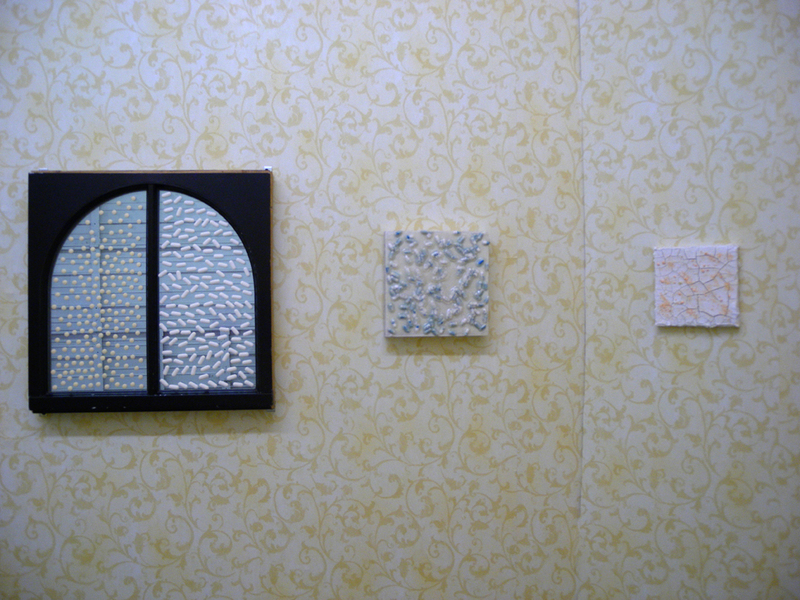 Hanging on the walls covered over with wallpaper are a suite of mixed media objects that incorporate pills meant to alleviate the symptom of hearing voices. The objects are echoes or harmonies of the amplified sound that suggest a theme and variation rather than a complete narrative. The Sound Art was made during the Women's Multi-Media Workshop held at The Girls' Club, Fort Lauderdale. 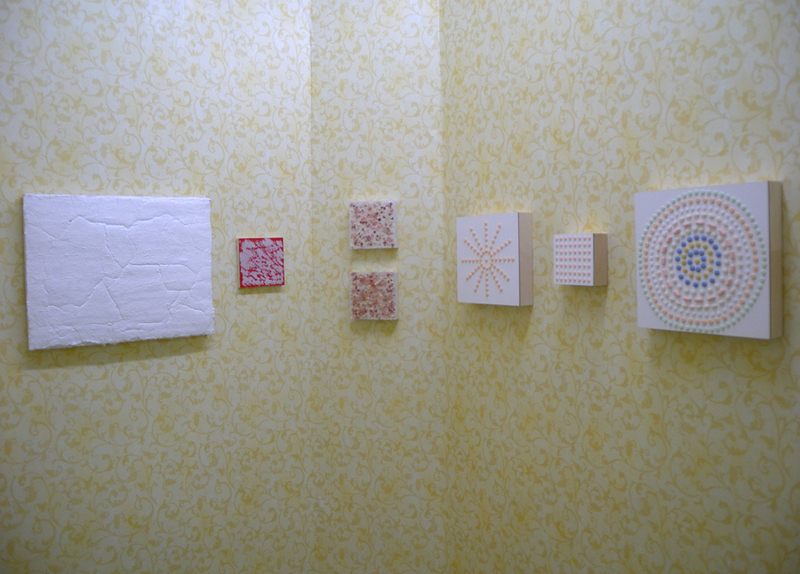 The Installation was shown at 18Rabbit Gallery, Fort Lauderdale.